During the four plus years of our developing commitment to story-telling within youth work we have done so in splendid isolation. None of us close to our grass-roots project has been conscious of a wider world of research and practice, within which narrative is highly treasured. As I noted in the post, Anecdote and Story : Real and Pertinent Evidence, it is our discovery of Cath Sharp’s thoughts that has opened the sash on a diversity of story-based initiatives. Below you will find a couple of links that we would encourage you to explore. More to follow. Produced by the Space Unlimited group this pack of 10 stories, illuminated by an outline of the process via which the material has been collected, is striking in its similarity to our approach. become an integral part of our work. We’ve only just begun to explore ourselves the range of material to be found on this Institute for Research and Innovation in Social Services site [IRISS]. And we are certainly getting in touch with these folk. Welcome to Storybank from IRISS. We’ve developed this resource to support people involved in all aspects of health and social care to understand the potential benefits of storytelling, and to understand, gather and use stories where appropriate. Throughout, we are using the term ‘stories’ to refer to true, autobiographical descriptions of experiences and perceptions. 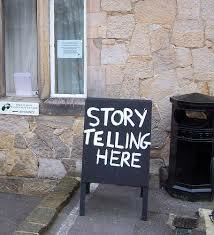 Storybank is intended as a living resource, so please get in touch if you would like us to add any guides or stories.